This summer marked the launch of a new mural series by ArtWorks: Cincinnati Paints-By-Numbers. The rotating mural project provides the public the opportunity to purchase a ticket and paint alongside the ArtWorks team. 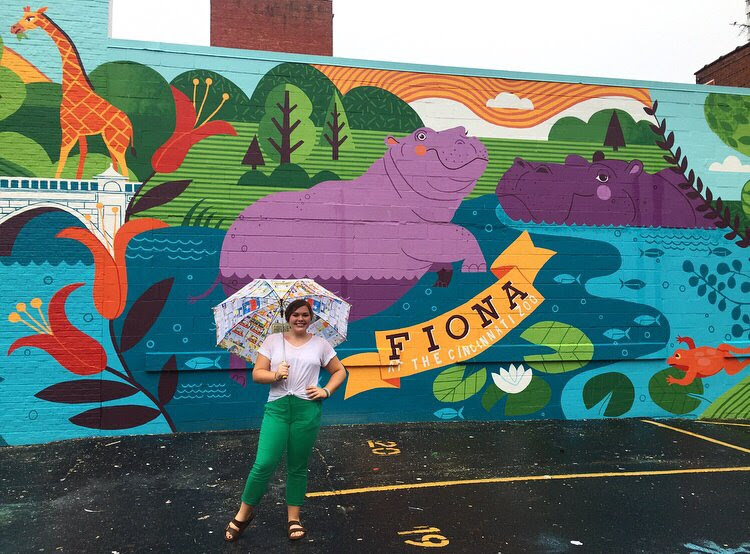 The inaugural theme for 2018 was Cincinnati's favorite hippo, Fiona. OHHS Art and Design junior Brooklyn Hart worked as an Apprentice on this project, designed by Lucie Rice, which was selected by a jury and public voting earlier in the spring.